Rarely available F line! Impeccable unit in one of the most desirable buildings on Riverside Boulevard! Perched high on the 20th floor, this stunning one bedroom one bathroom condo is a must-see! Upon entering you are wowed by high loft ceilings and a sundrenched living room with southern exposure lighting through oversized windows. 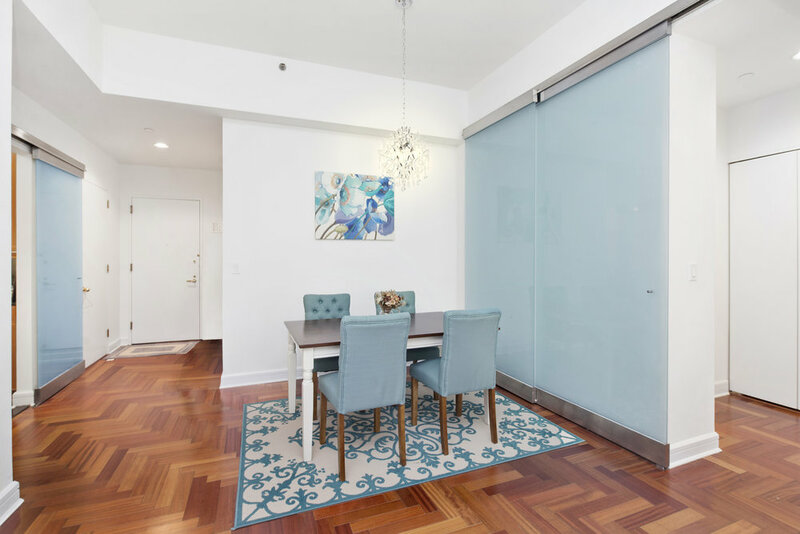 This unit, which can easily be converted to a two bedroom, features stunning herringbone floors throughout and unique contemporary slide pocket doors for seamless privacy without compromising the spaciousness. 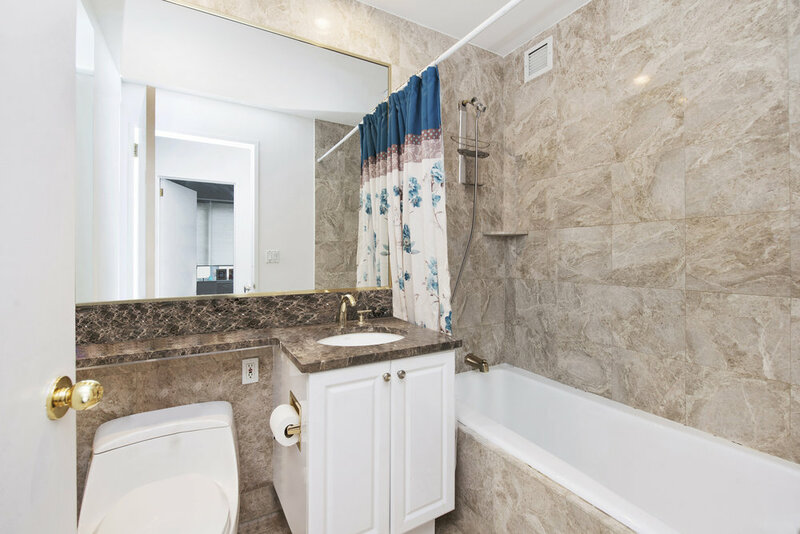 The bright bedroom offers plenty of storage and is positioned adjacent to a marble trimmed bathroom with a deep soaking tub. The Chef’s gallery kitchen showcases stainless steel appliances, windowed cabinetry and granite counter tops. This unit also offers a vented Washer/Dryer. 220 Riverside is a luxury condominium which consists of 430 residences and boasts spectacular, unobstructed views of the Hudson River, the Manhattan skyline, and even of Riverside Park. The building amenities include, 24 hour attended lobby, fully staffed health club, indoor pool, children's playroom, interior landscaped garden/courtyard, billiards room, bicycle storage room, attached garage and in close proximity to Riverside Park. Tenant in place until April.